The event attracted a total of 27,000 visitors from across sectors, including confectionery and snacks businesses. In total, there were more than 1,350 brand new international food and drink brands exhibiting their latest product innovations; which included everything from protein-enhanced chocolate ranges through to popped lotus seed snacks. 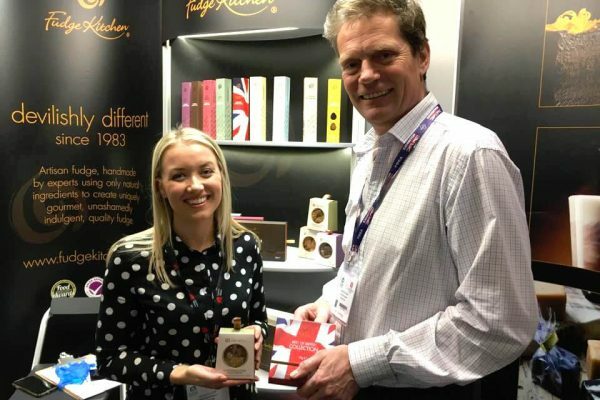 Among the confectionery brands present at the event were Montrose Chocolate Ventures (which claimed an innovation award for its Benefit Chocolate brand), Love Cocoa, created by James Cadbury, great-great-great grandson of the founder of Cadbury chocolate, Fudge Kitchen (pictured), and York Cocoa House, all displaying their latest ranges. The theme of sustainability was also high on the agenda, with over half of food and drink companies citing their reduced reliance on single-use plastic and making packaging more sustainable as the biggest sustainability challenges facing their business. Experts from WRAP, Defra, The Packaging Collective and the Soil Association took part in the Big Debate panels which highlighted the need to educate consumers from a young age on the environmental impact of food waste and ways to tackle this pressing issue. See a full event revue in our next edition of Confectionery Production.